I admit it – I have an ingredient fetish. My husband constantly accuses me of taking over our limited refrigerator and pantry space with an overabundance of exotic condiments and ingredients. My reaction is, of course, to deny deny deny, but I do admit that when I see a new vegetable at the farmer’s market, I can rarely resist picking one up to see what I can do with it. 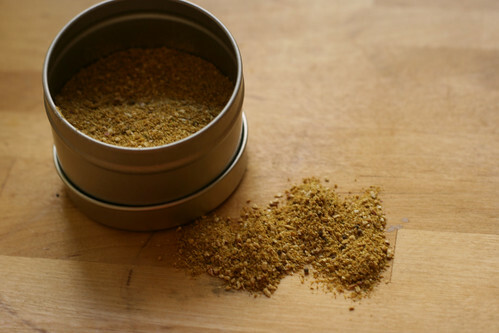 As you can imagine, I was particularly intrigued when I caught whiff of a new spice mix while watching last season’s Top Chef (and if you weren’t watching, why not? It’s great TV). Chef Jamie Lauren of San Francisco’s Absinthe talked about her “secret ingredient”, vadouvan, and my ears immediately perked up. What was this mysterious spice? And where could I get some? I ordered some from the Spice House, which is one of my favorite resources for dried herbs and spices. The Spice House’s vadouvan is more of a powder than the other ones I’ve seen, without the fried onion look, but it does contain onions and garlic. I decided to make an onion based butternut squash soup to boost the onion flavor and showcase the spice. The good news for you is that this recipe can be easily recreated with another curry powder, if you are not a spice fetishist. However, I don’t promise it’s going to have quite the same smoky sweet onion flavor. 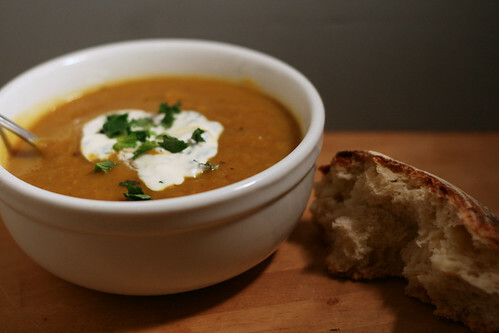 This is a variation of my favorite butternut squash soup recipe. I like this recipe because the butternut squash goes right into the soup – there’s no extra step of roasting that so many recipes call for. If you are worried about the difficulty of peeling a raw butternut squash, go get yourself an Oxo Good Grips Peeler . Actually, get one anyway. It’s the best peeler around. 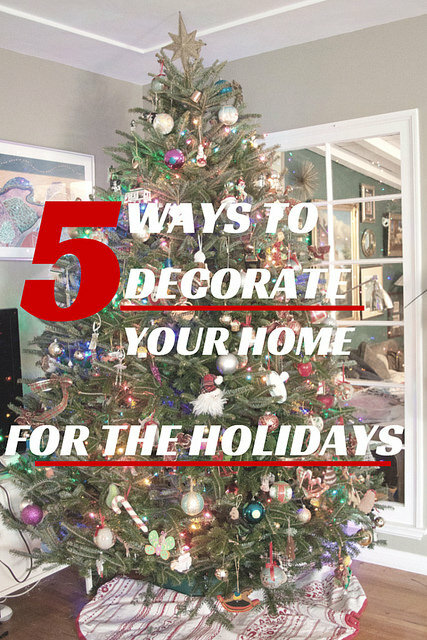 It makes peeling a joy. Seriously, I cannot stress enough how much I love this peeler. You just peel the squash, cut off the tips of both ends, and halve lengthwise. Then you scoop out the seedy part with a spoon, and chop into cubes of about an inch. They don’t need to be uniform, and they also don’t need to be cubes. This is a very forgiving recipe. I also like this recipe because it has leeks. In my humble opinion, leeks are the unsung hero of the onion family, at least in American cooking. Onions are ubiquitous, scallions are everywhere, shallots are trendy, but leeks? There’s nothing glamorous about leeks, but they’re just wonderful. They have that subtle oniony flavor without the sharpness. And they’re so pretty too. The only problem with leeks is that they get very dirty, so it’s very important to wash them thoroughly. Trim off the dark green part (you only ever use the white and pale green for cooking, but the rest can be added to the stock pot AFTER BEING WASHED), then cut the white part lengthwise (see the photo above) and either soak in cold water or clean thoroughly under running water, making sure to really get between the layers. Try it. You’ll see the mud and you will thank me. Note: If you do not share my love of leeks, or if you find them curiously unavailable, you can add in additional chopped onions. I’d use about ½ large onion per leek. And make sure to sauté the onions until they’re translucent. But the soup will be missing that je ne sais quois (well, je sais what’s missing – the leeks). Then you puree it. I like to use my immersion blender , because it makes cleanup so much easier. Just pop it in the soup and give it a whir. You CAN puree in the blender or the food processor, but that will entail much more mess and transferring hot soup between vessels. Don’t say I didn’t warn you. When it’s pureed, it turns lovely and creamy, without any cream at all. That’s another reason I love this soup. It feels much richer than it is. I like to serve it with a little cream on top. Given that the vadouvan is Indian in nature, I decided to make a raita, which is a type of Indian yogurt sauce. Raita typically is made with cucumbers, but I’ll share a little secret with you – I hate cucumbers. 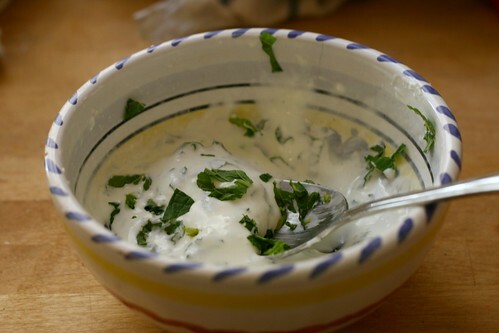 This raita is just chopped mint in some Greek style yogurt. I’m not even going to give you a recipe because I trust you to figure it out. Chop some mint. Put it in plain yogurt. Taste it. Add some salt if you want. It’s up to you. You could even use other fresh herbs – chives would be good. 3 medium leeks, white and pale green parts only, sliced lengthwise and then sliced thinly. Melt the butter in a large saucepan. (And large is good. I used my 3.5 quart Le Creuset and it was too small, so I had to bump up to my big one (7 quarts). I probably didn’t need 7 full quarts, but I’d recommend at least 5). Add onion, stir to distribute the butter, and cook until the onion is softened and brown. Add the leeks and cook over medium heat until the leeks are softened. Add the vadouvan, stir thoroughly, and cook another 3 minutes, stirring frequently. Add the butternut squash, the water and the broth. Bring to a boil. 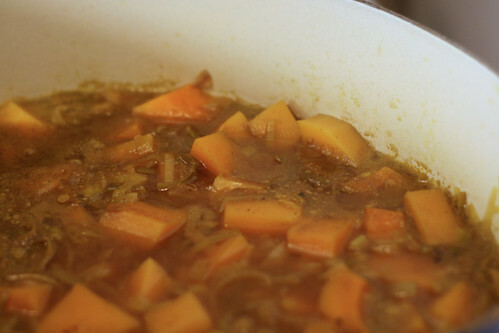 Cover the pot and simmer over low heat until the squash is tender – about 20 minutes. Puree. Serve hot with plain yogurt or raita, and crusty bread on the side. Serve with some nice crusty bread, and maybe a little green salad. Simple. This also freezes well and keeps well in the refrigerator for lunches. * Note about yesterday’s photo: No text, I just thought you’d like to see some of the stuff that’s available at my local farmer’s market this time of year. I would be jealous if I were you – it’s pretty awesome to have local citrus and artichokes and strawberries and asparagus in early March. If you live in an area where there are still six inches of snow on the ground, feel free to send me pretty pictures of colored leaves come fall and I promise to be duly envious. 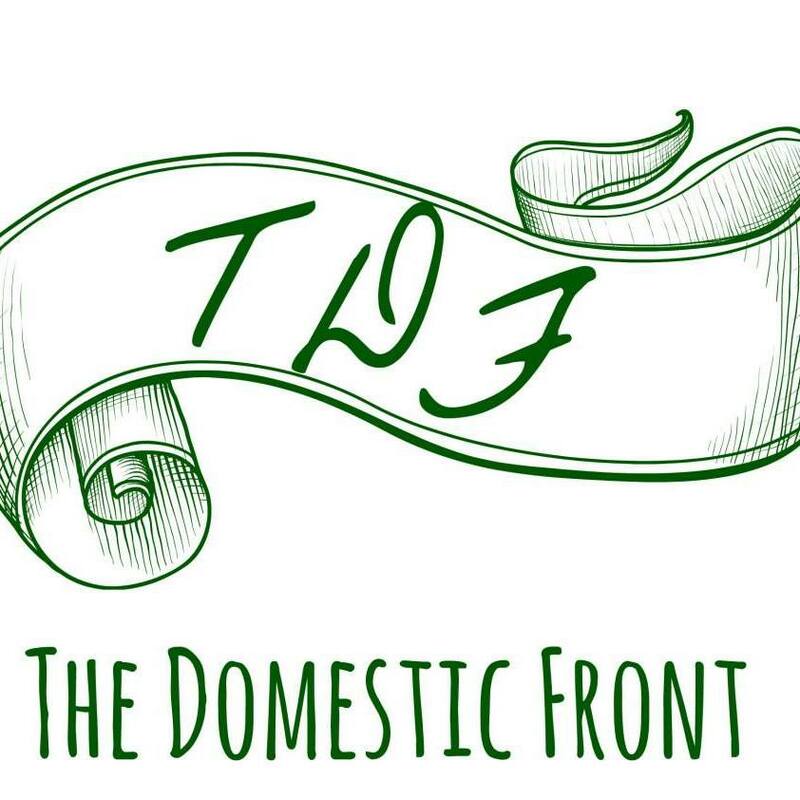 First of all – amazing, delicious, wow. 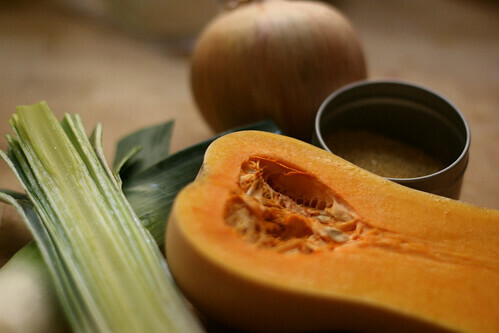 This soup has all the ingredients that I hold so dear to my heart, namely butternut squash, leeks (I love them!!!) and the spice mix with garlic and onions. 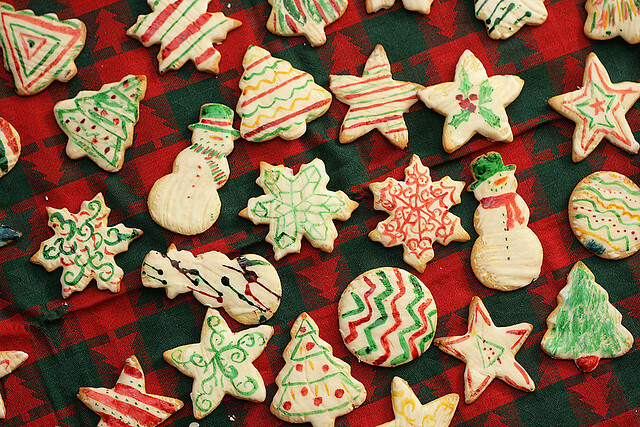 The photos are mouthwatering, too! 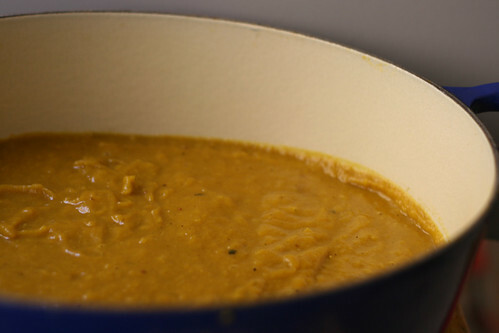 I must also note that Kate also does a version of butternut squash soup that I believe is just as good, though less trendy, in which the vadawhozzywhatsy spice is replaced with Thai curry powder. And I don’t think she serves it with mint, just plain sour cream on top. It’s excellent, too. Anyway, the author of this site makes other excellent versions of this soup, and the taster-in-chief here would be interested in trying still more variations. Yum!! This looks like a great soup, especially for these chilly almost-spring days back here on the east coast. It’s definitely going into my recipe file because I believe my memory does serve me correctly in saying that you are a GOOD cook! Our ears and tongues are intrigued. We feel out of the loop not knowing about vadouvan. One more spice for us to hunt down. Thanks for the heads up. The soup looks tasty too. 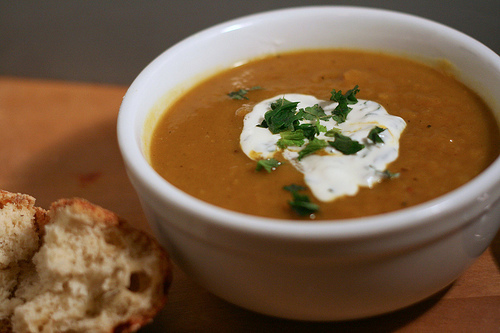 Butternut squash is one of our favorite soups. Can’t wait to try this recipe out. Todd. My family gave me a sample of vadouvan in my Christmas stocking, and I had just enough to make your recipe. I made the soup this evening, and everyone thought it was delicious. I used chives in the yogurt — a nice touch. Thank you for sharing your recipe!